Decorative and functional coasters for your car or truck fit into the cup holder to protect your vehicle from drink spills. 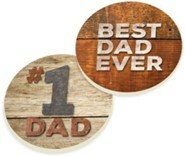 Set of two, ceramic absorbent coasters with distinctive art design. Designed with a slanted edge and can be easily removed for cleaning. Each coaster is 2.75" in diameter. 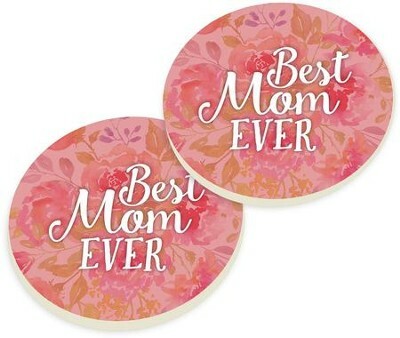 I'm the author/artist and I want to review Best Mom Ever Car Coasters, Set of 2.